What happens when you put your plastic bottle in the recycling bin? The average UK household throws away an estimated 500 plastic bottles every year, and a large percentage of them end up at landfill sites. 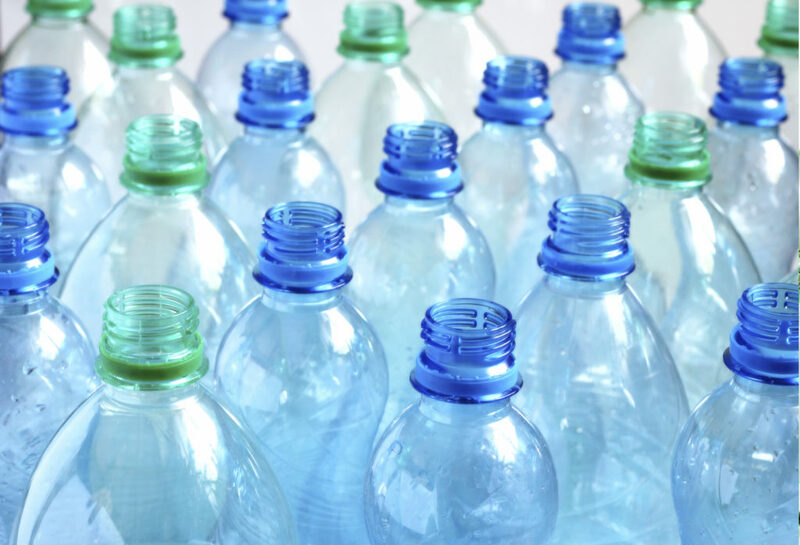 Most plastic bottles are made from polyethylene terephthalate (PET) or high-density polyethylene (HDPE), both of which are degradable plastics. This means that when they are exposed to enough light, oxygen, heat or mechanical stress, they can break down into water, carbon dioxide, biomass and trace elements. However, this process can take hundreds of years, and during that time the plastic is taking up landfill space and can be potentially harmful to wildlife, particularly if it ends up in the sea. The best solution for disposing of plastic bottles is to recycle them into new ones. As well as reducing the amount of waste going to landfill, this also helps to conserve the non- renewable fossil fuels needed to make the bottles from scratch and reduce the emissions of greenhouse gases normally created during this process. In fact, recycling one plastic bottle can save enough energy to power a 60-watt light bulb for three hours. Recycled plastic bottles can be turned into all sorts of useful things, not just new plastic bottles. For example, the flakes made from melting plastic can be spun into a fine polyester fibre, which can be used to make fleece clothing, carpets and duvet filling. 25 recycled 500-millilitre (17.6-ounce) bottles can make one fleece jacket and five two-litre (0.44-gallon) bottles can be turned into 0.09 square metres (one square foot) of carpet. The durability of recycled plastic also makes it ideal for use in drainage pipes, scaffolding boards and fences and it’s also a cheap material for making street furniture, signs and even bins. In fact, your recycling bin may be made from the contents you put into it. The stationery in your pencil case could be made from recycled bottles too, as the plastic flakes can be reshaped into rulers, pencil sharpeners and other items. Next story What is interferometry? Previous story Why are most people right-handed?